It’s that time of year again! The holiday season is upon us, and that means winter is here. 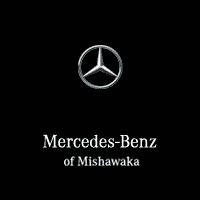 Treat yourself with excellent service for your vehicle at Mercedes-Benz of Mishawaka. Our certified Mercedes-Benz technicians are here to make servicing your vehicle a breeze. Don't miss your chance to rake in these great deals! Winter is approaching, so now is a good time for you to make sure your vehicle is in pristine condition!